Founded in 1788, Watson Bay is the oldest Fishing Village in Australia. It’s one of the charming beach towns of Sydney. The undeniably impressive part of this fishing village is magnificent views of dazzling Sea. It was one of those Summer Days in December, I visited to explore the beauty. The pleasant little town is highly popular among locals. Watson Bay plays host to a number of delightful seafood eateries. A perfect place to chill out, appreciating the scenic treasures of the beaches and parks. You are guaranteed to find miles of sun, sand in this lazy beach town. And plenty of places to relish delicious seafood. But one should not miss Doyel’s On the Beach Restaurant. It’s just next to the Bay Wharf. They also have a takeaway counter. The Doyle Family has been serving fresh local seafood for over five generations. In the early 1800s, great-grandparents of Alice Doyle started this business. The two built a hut on the site of the present Doyles on the Beach restaurant and sold fish there. Later, they opened a small eatery joint to sell cooked seafood. Surrounded by natural landscapes all around, Watson Bay’s popular attractions include Church, Lighthouse, and the many beaches. For something more adventurous, take a walk towards the south to the ocean cliff, The GAP Park. The views over the coastline are just stunning. I couldn’t believe my eyes. I could only hear the sound of the Ocean. The experience was truly amazing. I spent a lot of time watching the waves crashing into the rocky shore. The shade of vibrant turquoise hues of Ocean was creating stunning seascapes. In 1857 the sailing ship Dunbar carrying 63 passengers and 59 crew struck the rocky cliff at the foot of The Gap. This place is also known as a Suicidal Point in Australia. Macquarie Lighthouse is built by famous convict Francis Greenway. It is the is the longest serving, lighthouse site in Australia. Walking up the 100 steps to the top of the lighthouse’s tower, you will get a chance to view the panorama of the Sydney area. I was spellbound with those gorgeous sights as I start mounting over the rocky path towards the GAP. And found remnants of the Aboriginals who referred to this area as Kutti. A place that offers world-class dining, exceptional service and breathtaking views on the shores of Watsons Bay. It was built in 1837 by Mortimer Lewis, a Colonial Architect. It got the name of ‘Dunbar House’ in 1950 following a resolution of Woollahra Council. I started my afternoon with a glass of red wine enjoying the colorful yachts floating. The lunch happened to be one of my most memorable till date. 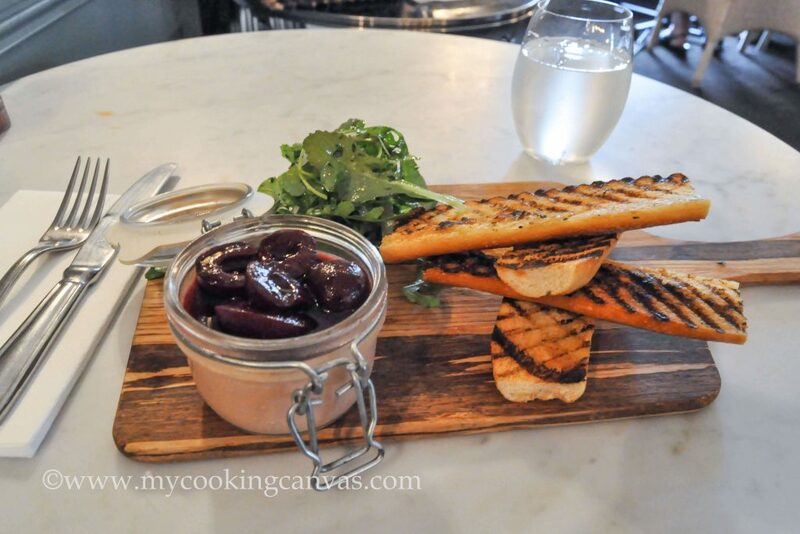 I was all alone on a Solo Trip relishing Duck Parfait, a velvety mousse prepared from duck lever topped with spicy cherries. Oh my gosh! Taking a Ferry from Circular Quay to the oldest Fishing Village in Australia is the best thing to opt. Though you can reach easily by bus too. But the Ferry Tour is a wise man choice. Those boundless views include the famous Sydney Opera House, the dramatic arch of Sydney Harbor bridge at their best. Best way to see the city on a budget. 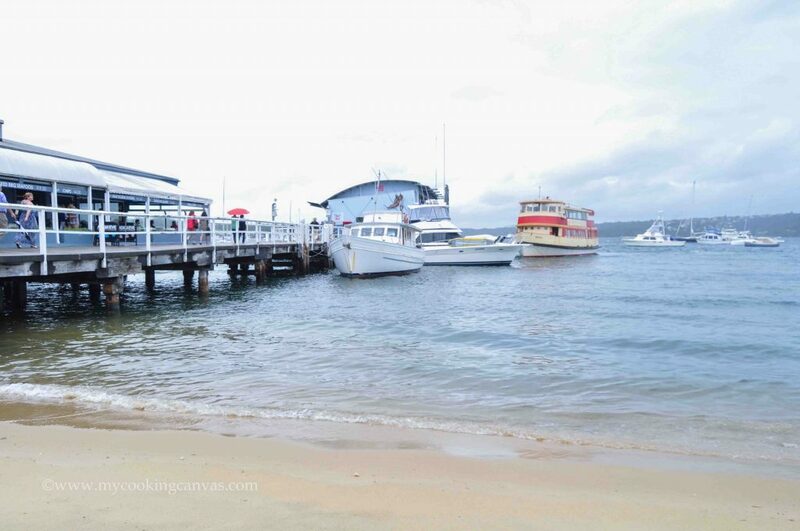 You can take also take a Ferry to Manly Beach from Watson Bay.